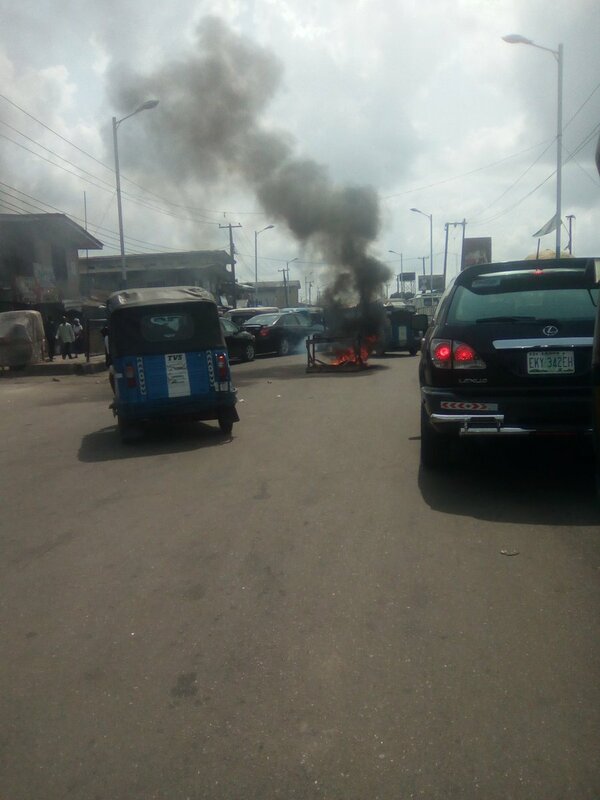 The erstwhile busy popular Enerhen Junction in Warri is somewhat a shadow of itself, littered with burning tires and a pocket of the remaining protests who had laid siege on the road to protest the unchecked acts of Police brutality and extortion which led to the death of a young man of about 27/29years of age yesterday. The young man, according to eyewitness reports, was allegedly accosted by the men of the Nigerian Police Force yesterday. He was asked several questions and finally ordered to bring his smart phone, to which he refused and asked to know why they want to take his phone. The Policemen out rightly told him that because he is a Yahoo Boy. The boy was alleged to have questioned them, with what evidence would they so accuse him, if it is only Yahoo Boys that can afford expensive things. The obviously offended officers, attempted forcing the Phone from him but he continued in the resistance. One of them thereafter brought out his gun and shot him. He died on the spot. The Policemen immediately entered into their truck and drove away. There’s been several out cries across the city because of the harassment, brutality and extortion of the men of the Nigerian Policemen and nothing has been done about it. we call on all in the appropriate quarters to quickly investigate and curb these atrocities lest our now peaceful city be thrown into another crisis.